Genre-defying Korean-American artist Yaeji is set to play in Singapore on July 17! We’re thrilled to bring Yaeji to Singapore for another epic night at Kilo Lounge. Tickets go on sale next Thursday (March 28). Born and raised in Queens, NY to South Korean parents, much of Yaeji’s life was split between the United States and Seoul. Her music is an honest insight into her experiences of multicultural upbringing and her lovable character, touching on subjects such as cultural identity, personal reflection, skincare and make up routines, along with choice of booze. 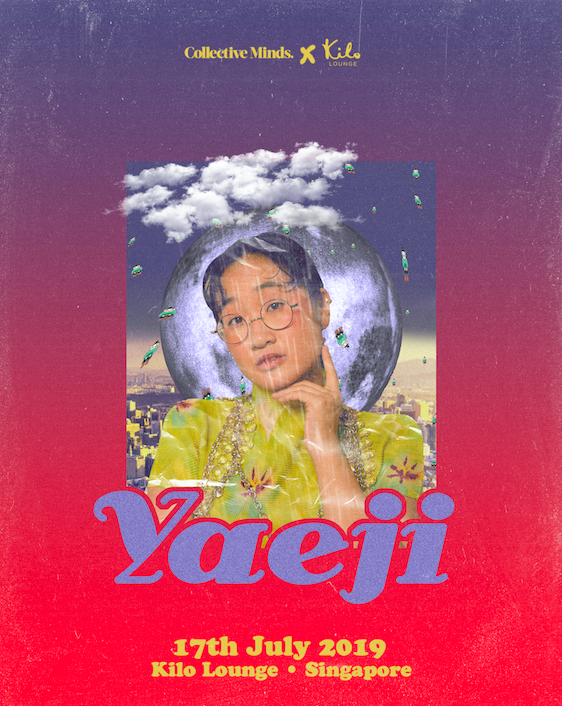 If not to create solely through sonic platforms, Yaeji studied communication design and fine arts on a tertiary level in college - she attributes much of her musical work to being a representation of her visual arts. This period of time was also the first spark, as her involvement at her college’s radio station was where she developed a fascination with electronic music, DJing, and production. Juggling her love for both music and visual art, she held a position as a graphic designer while still getting involved in the Brooklyn underground electronic scene on a highly-regular basis; inevitably committing full-time to her rapidly growing music career. Effortlessly switching between her signature whispered/rapped vocals in Korean and English over her unique blend of smooth-flowing house and trap productions, this also highlights an interesting note with regards to matching subject with choice of spoken language. Choosing to narrate vulnerable and private topics such as her emotions and personal problems in Korean before switching over to proclaiming her favoured choice of booze in English as soon as the next stanza with nary a trace, Yaeji proves that she knows how to surgically use the tools at her disposal. We know Singapore’s all set for a taste of Yaeji’s renowned sets, and we couldn’t be prouder and more excited to bring Yaeji to you this July. Collective Minds is a collaborative events & talent agency working with culture-pushers across diverse disciplines sharing the aim of gathering communities through mutual interests.